Bavaria Yachts is the most modern manufacturer of sailing yachts, motorboats and catamarans worldwide. A Bavaria yacht is the result of an immense knowledge of boat construction, engineering, ingenuity and design. Ultimately combining the best materials, fixtures and fittings with precision craftsmanship and quality for your ultimate joy of yachting. 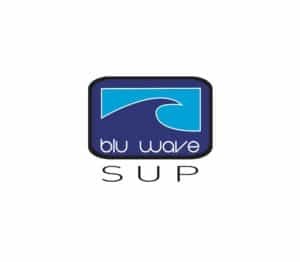 Blu-Wave’s mission is to design and manufacture quality SUP boards. Above all, they are committed to helping bring the amazing sport of Stand-up Paddling to our great country. Canadians are discovering this great sport and it is truly enriching people’s lives, bringing a little bit of Aloha to our beautiful bodies of water. Dream Yacht Charter has an extensive fleet of sailing boats in over 40 destinations around the world. They specialize in bareboat and crewed yacht vacations including cabin charters. Great Lakes Scuttlebutt – We frequently advertise and write articles about yacht charters in this magazine. With Le Boat, you can plan canal boat vacations in some of the world’s most magnificent places in Europe and now in Canada on the Rideau Canal. Specially designed boats for easy operation and comfort. No special boating license is required to operate. Matilyn is all about romance, fantasy, elegance and creating lasting memories. Their award winning designers create unique custom products with an unprecedented wow factor – from stationary to textiles, the possibilities are endless. Make your event one-of-a-kind with memories that will last a lifetime. All handcrafted with love in Canada! Oakville Power Boat Club invites boaters to visit, meet our members and enjoy our club. The club is a licensed facility featuring a great patio with a view of the harbour and lake. Our gas dock is available in season and is open for visitors. Private showers and dressing areas are also available. We are within walking distance of downtown Oakville which offers many fine restaurants. Take a look around our website www.oakvillepowerboatclub.com or call 905-844-3607.